We now offer the very latest AMI iPod Kit. This System is only suitable for models with the Audi Infotainment System. This includes the A4 8K, A5 8T and Q5 8R. All Parts are Brand New and come with a 2 Year Warranty. Requires Audi Infotainment System, displays Albums, Artists, Playlists, Track Names Etc. Works very well as all parts used are Genuine Audi. Allows full control over your iPod through the vehicle MFSW and Radio. Existing CD changer remains in place and is fully functional with iPod attached. also Charges all the latest iPods and iPhones. iPod connection is included. The AMi Kit is also compatible with a USB Stick using optional adaptor lead. Any model from 2007-2008 with the CD/SD button will require a replacement Concert unit at additional cost, please enquire if this affects your model. * Please Note: If you require the iPod Dock instead of a lead in the glovebox then you may need to change the glovebox. All Parts are Brand New Genuine Audi and come with a 2 year warranty. Installation usually takes 1-2 hours. 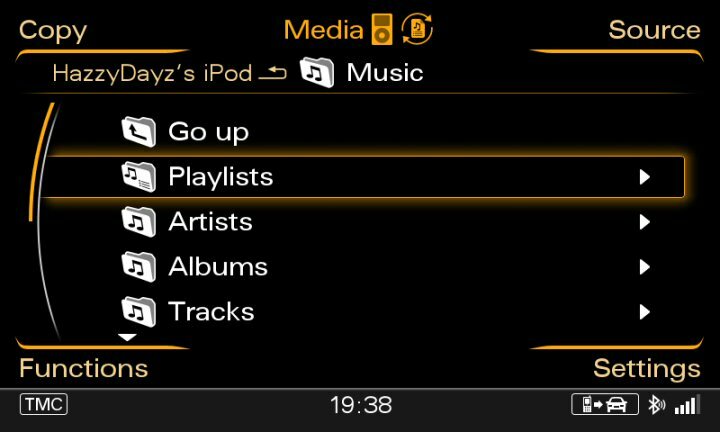 Above: Select your iPod through the vehicle media menu. 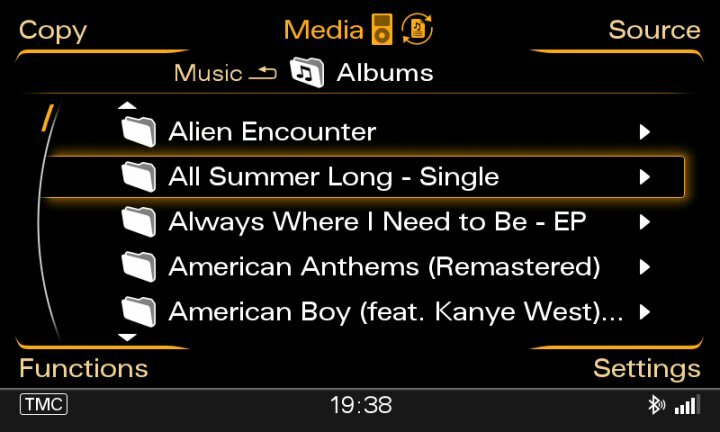 Above: AMI iPod Kit Allows you to View, Artists, Albums, Playlists, Songs Etc. Above: Select the Album you would like to play. 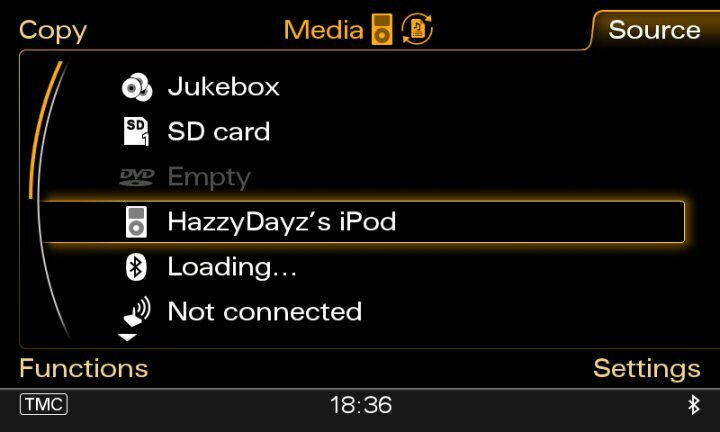 Above: You can also control iPod functions with the MFSW through the Driver information System.